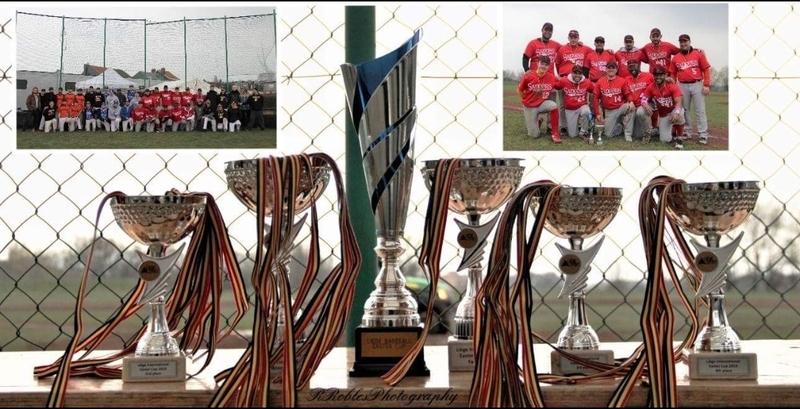 Although the 2018 Baseball Season is only a few days old, the Red Sappers already earned their first trophy of the year. Mentionable from the final is, that Strasbourg already had a 4:1-lead when the Sappers started their comeback into the game and turned it around. Sappers-Pitcher Fernando Peña won 3 of 4 and Pitcher Juan Godoy the last game. He also made a Home Run. Chris Roderes secured the win in the first game with a walkoff. Jakcar Valenzuela got 4 extra bases and Frank Lazo 2. Next event is the first Game of the german SWBSV Verbandsliga against the K-Town Bears on their field at the "Erbsenberg" in Kaiserslautern (D) on sunday, 8th april. First Pitch will be at 12:00h. Written by Christoph Kühnemund, 03/04/2018 12:09.